Partial tuition scholarships are now available to all applicants. 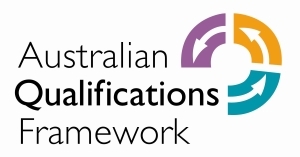 The Certificate III in Business (BSB30115) course delivered by Mentor Education is an entry-level qualification for secondary school graduates, those working in business administration, those seeking entry into higher level business positions or those with professional experience in a range of industries. The course provides an ideal foundation for individuals to offer professional business services across a range of industries. Graduates of the Certificate III in Business are well-equipped with knowledge and practical business skills required to start their career journey in business and administration services. Skills covered include maintaining business resources, delivering and monitoring a service to customers, organising workplace information and creating electronic presentations, workplace documents and spreadsheets. Students who complete this qualification can undertake further business studies, including studies in both the Certificate IV in Business and the Diploma of Business courses. Mentor Education's Certificate III in Business (BSB30115) is a nationally recognised qualification that will equip you to undertake administration and business roles. Be awarded and recognised as holding the most current nationally recognised business qualification. Be recognised for completing units covering administration, finance, human resource management and marketing. Specialise in innovation, including reviewing and maintaining your business website. Mentor Education's Certificate III in Business (BSB30115) is suitable for individuals looking to validate their existing skills and knowledge with a formal qualification. It is also suitable for those seeking to enter the industry in a business role in the future. This is an open entry course with no pre-requisite qualifications. In order for you to successfully complete this qualification, it is strongly recommended that students have a strong grasp of computer/technical skills, Microsoft Word and Excel installed on their computer, access to a reliable high quality internet connection and literacy/numeracy skills. It is recommended that students have access to a Windows-based computer and Microsoft applications, making it easier to follow the Windows-based examples and instructions. It is expected that students will complete this course within a 6-month period. It is expected that students will spend 455 hours in learning and related activities if completing on a full-time basis over 6 months students who have extensive industry experience will be expected to complete it in a shorter period). Mentor Education specialises in providing professional education and training services to you anywhere, any-time. We appreciate that learning needs differ for each individual and organisation, which is why we allow you to select the approach that works best for you. The Certificate III In Business (BSB30115) Qualification is the premium pathway to profitable and professional management of your practice - to ensure practice growth and sustainability. For further information and to Apply, call 1300 306 146 and speak to a Course Adviser. * Unless stated otherwise, this offer is only for select online Certificate, Diploma, Advanced Diploma qualifications, Short Courses and Skill sets listed on this web page and requires full upfront payment. Unless stated otherwise, no payment plans available for discount offers or partial scholarships. Unless stated otherwise, no discounts available for Workshops. Unless stated otherwise, to be eligible for discounts or partial scholarships, you will need to have fully paid for your course enrolment before 30/04/2019, 11.59pm AEST. Cannot be used in conjunction with other offers/existing quotes or applied to past enrolments. Discounts are based on recommended retail price listed on the Mentor Education website as at 01/03/2019. Limited partial scholarship placements available. Partial scholarships are are open to all applicants meeting entry requirements. ** Payment plans are available (excludes partial scholarship applications) and require six equal monthly payments via direct debit. Contact Mentor Education for further information.